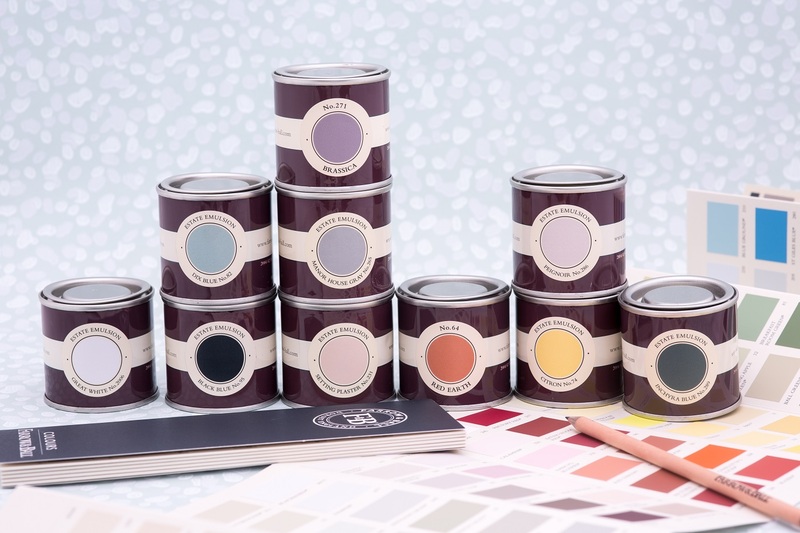 We are the only flooring retailer in Scotland that is a Farrow & Ball paint stockist. Visit our showroom in Bridge of Allan, Stirling to view full range of F&B paints and wallpapers, where you can find all sample pots and the most popular paint colours and finishes in stock and other paints can be supplied within 3-5 working days. You can find floor covering to suit your preferred colour and our team will help you to design an individual colour scheme for each room. Farrow & Ball paint range is made in Dorset using only the finest raw materials to produce an unrivalled depth of colour, with up to 30% more pigment than other paints. The 132 colour palette that complements beautifully our carpet, vinyl and wood flooring ranges. To help you make the decision Farrow & Ball have defined groups of neutrals that range from sophisticated Traditional Neutrals to cool Architectural Neutrals. You may opt for Yellow or Red based Neutrals or for a more modern look that can be created by using colours from Contemporary or Easy Neutrals groups. Contact us to find out how the Farrow & Ball paint range can transform your home.